I love doughnuts. Seriously who doesn’t? 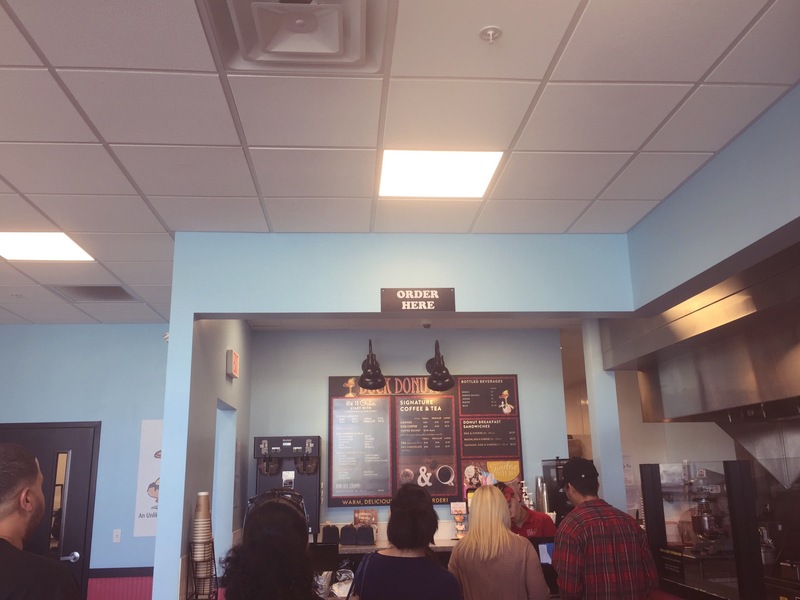 We fell in love with Duck Doughnuts on our trip to Washington D.C. You can check out that trip here. What makes a better date then long talks over good coffee? Nothing. 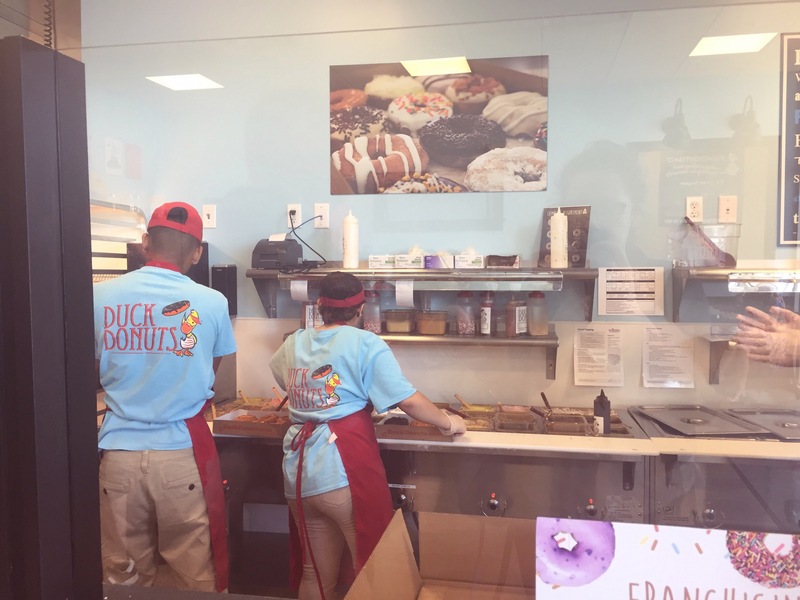 We were excited to find out that Duck Doughnuts opened a location right here in Florida, so we decided to make a trip! Just about a 30 minute drive to Kissimmee from Orlando. 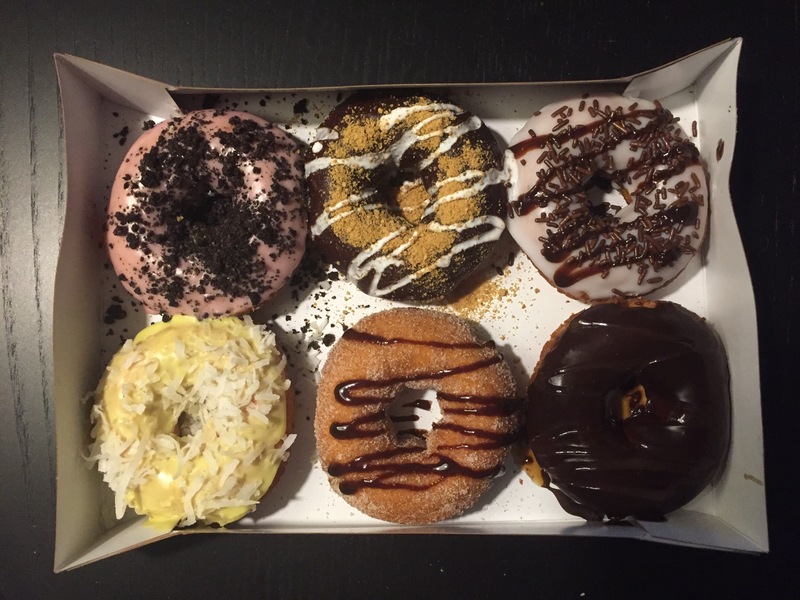 If you are looking for you local Duck Doughnuts, here’s a link to their site. Okay so let me lay this out – walk in and grab a menu (use this to mark on). You start off with a base cake doughnut and on basically anything you can dream of. We normally only do a half dozen. I’ve never, honestly, been able to eat more than two without hating myself. Oh and make sure to order a iced coffee! It’s fresh brewed and INCREDIBLE. After handing off your menu, each doughnut is made fresh and hand made to your order.